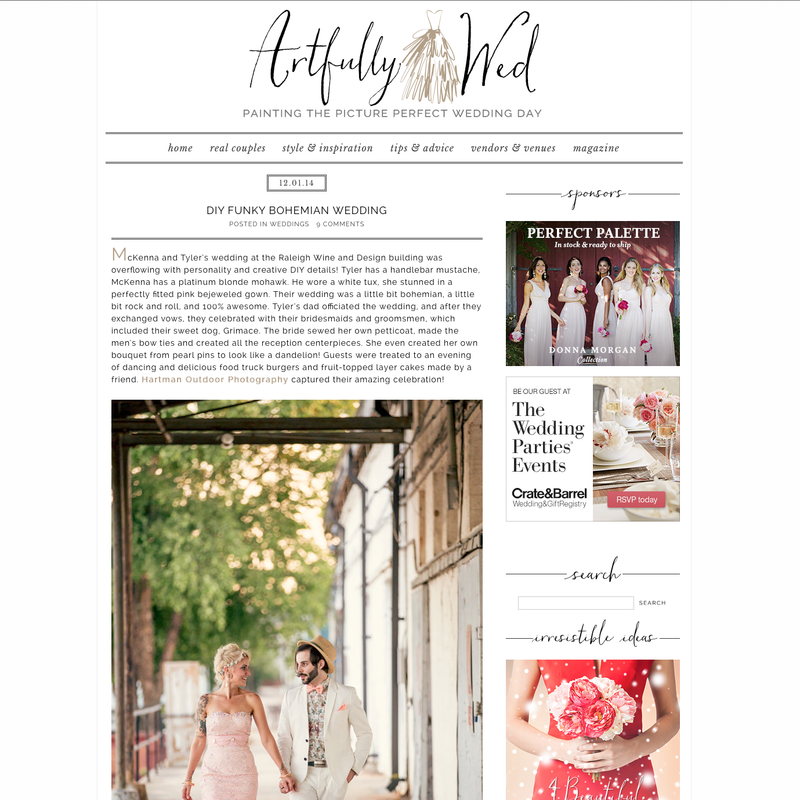 Tyler and McKenna poured their whole bohemian artistic souls into their wedding and we are so happy to see them featured on Artfully Wed. McKenna made all the decor and details, sewed all the groomsmen’s bowties, and even personalized her pink wedding dress by sewing her own petticoat to wear underneath. Talk about some serious talent! Even their venue was a creative space. They held both their ceremony and reception at the downtown Raleigh Wine and Design building overlooking the Raleigh skyline. This venue is the perfect blend of laid-back urban rustic style. 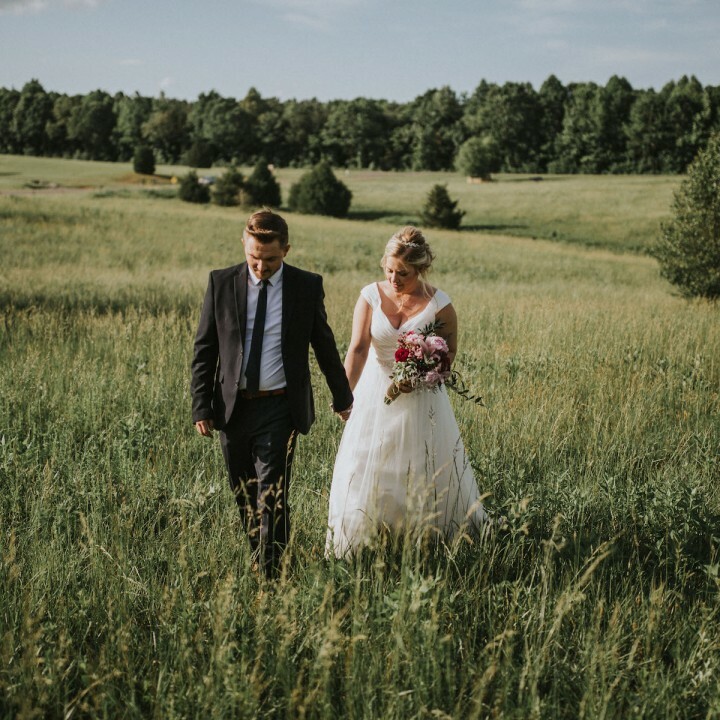 We would love to photograph more weddings here! 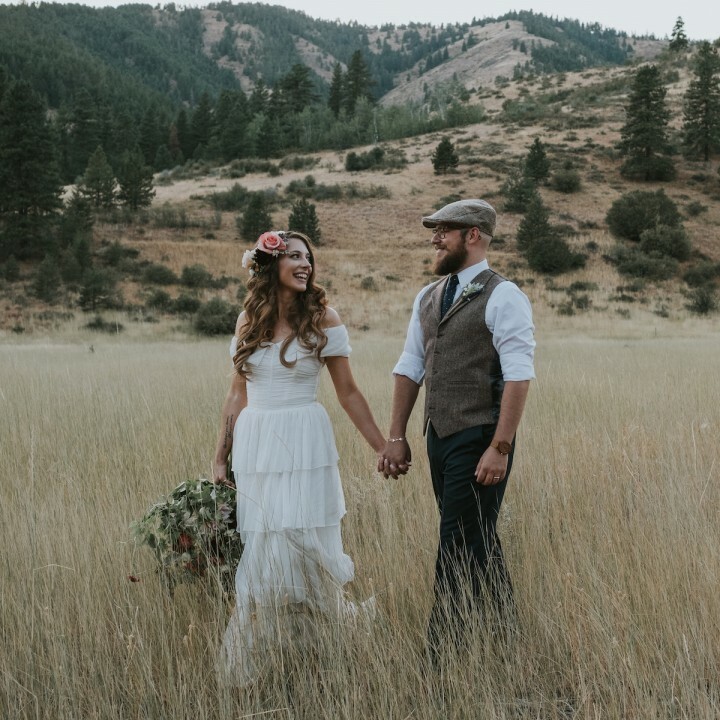 McKenna and Tyler’s wedding was full of fun and personal details. From their doggy groomsman, Grimace, to the Persian dances, to the eclectic decor. And how about those ridiclously awesome cakes? It makes me hungry every time I look at them!